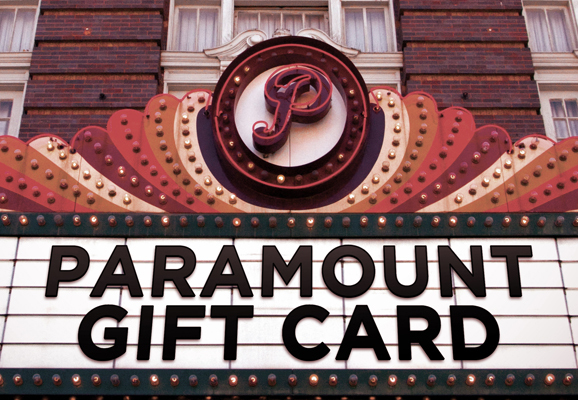 Gift cards are a fun way to give the excitement of theatre and film to someone you care about. The Paramount and Stateside Theatres boast more than 200 nights of entertainment each year! From music, comedy, children’s programming, spoken word, to Broadway and film, there is truly something for everyone at these two historic theatres. Gift cards can be purchased in increments of $25.00 and are redeemable for events at either theatre. Gift Cards may only be redeemed over the phone or in person. Please call 512-474-1221 if you have any questions. To purchase gift cards, call the box office at 512-474-1221.